Well, Thanksgiving was yesterday, but yeah. Happy Leftover Turkey Day. This entry was posted on Friday, November 28th, 2008 at 12:00 am and is filed under Comics. You can follow any responses to this entry through the RSS 2.0 feed. Both comments and pings are currently closed. My friend and I actually started a tradition two years ago where we cook our own Thanksgiving Dinner the day after Thanksgiving. 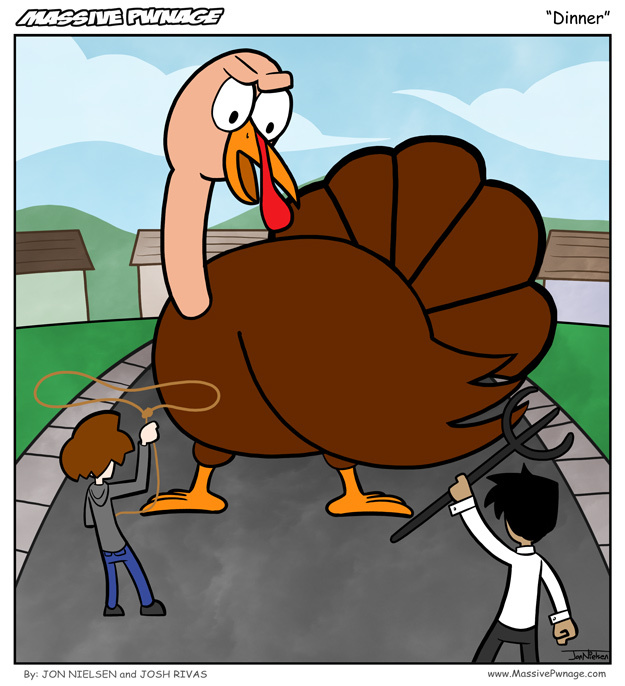 We call it Second Thanksgiving! Today was Second Thanksgiving! I feel fat.